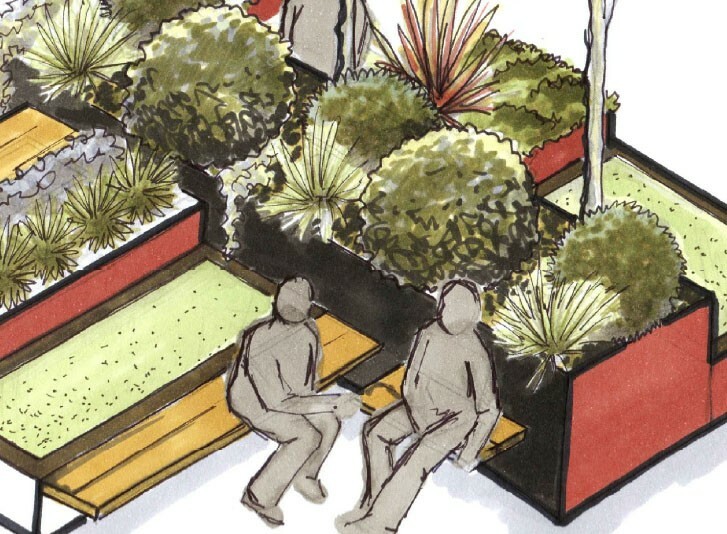 The public has been invited to vote on the design of a pop-up “micro park” to be erected at Garema Place in Canberra. Six designs have been selected from a community design competition staged by the ACT government for the temporary parklands. The realisation of the winning design, to be chosen by popular vote, will be overseen by a landscape architect, who will work in consultation with the designer to adapt the project for the Garema Place site. The idea for the park was a response to the currently limited space allocated to recreation in the capital’s centre. Rules for design submissions were deliberately kept to a minimum to allow a “broad range of ideas”. The design brief called simply for a concept that represented a “small-scale park type for the community”. Voting on the project will be open until 6 September 2017. More information on the shortlisted projects can be found below. “A vibrant and attractive space with spots for cosy conversations, resting, playing, listening, learning and enjoying the ‘grounds’. “A grove of blossom trees made in the form of a brightly coloured flat-pack representing a Hanami (blossom viewing) party such as [those] had in Japan at the beginning of spring. I imagined the trees to be life-sized so people could walk through them, sit under them and see them from a distance. “As the days begin to lengthen and the sun gains greater intensity the bushland and reserves around Canberra take on a golden hue for the briefest of moments as the tightly furled buds of the wattle smother trees in a haze of brilliant yellow balls of soft fluff. “A sensory experience based on ‘garema’ meaning ‘to camp’. Stop, sit, laugh, listen and be present. ‘Springtime Dreamtime’ provides the opportunity to celebrate spring and renewal within our city. “Brightly illuminated blue trees remind us of the importance of maintaining a natural oasis within the city centre. Fun flower chairs rotate and tilt to encourage interaction, lingering and play. Strings of lights are strung between trees to provide festive interest in the evenings. “Green Square is based on the concept of adaptable reuse. The central units are modularised planting beds with the [capacity] for flexible arrangement. The structure supports seating and table elements. “The basic module is based on reused IBCs (Intermediate Bulk Containers) [and] discarded industrial units. Cladding is to be recycled plastic sheeting and/or reclaimed timber [and] planting beds use [a] ‘wicking’ structure for watering.